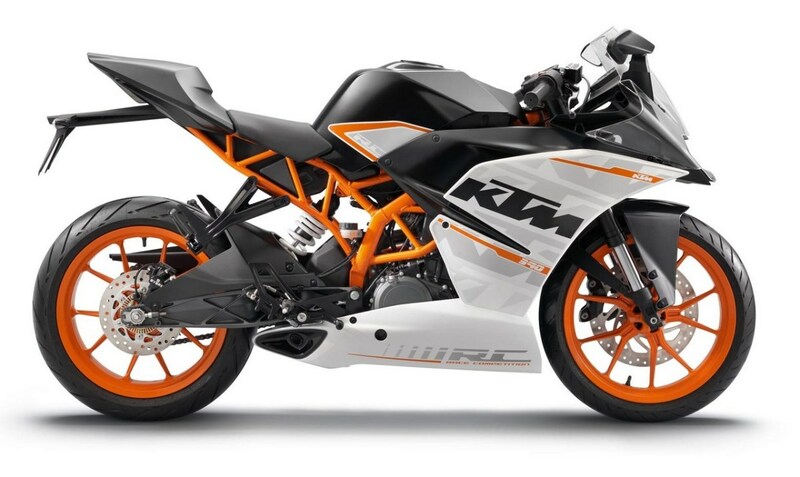 The KTM RC390 when it was revealed to the World last year was met with much excitement and anticipation. 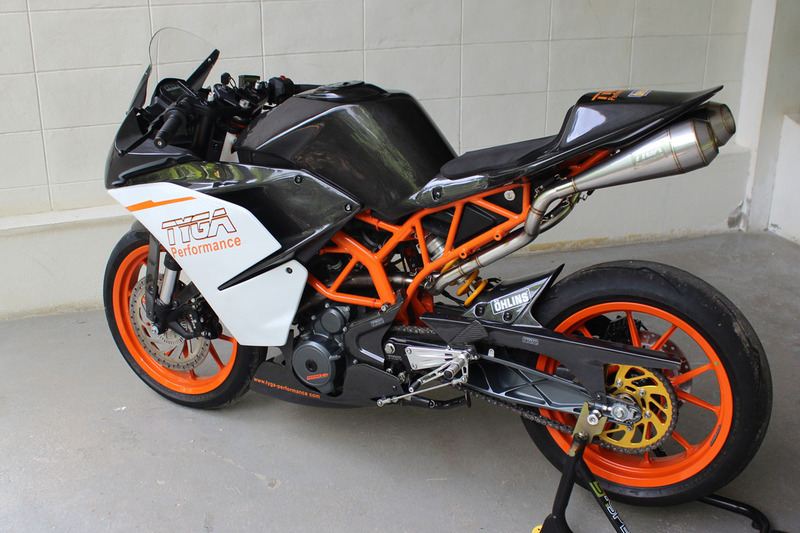 Unlike most of the previous small capacity sports bikes released this millennium, the KTM promised to be a worthy successor to the great 250 and 400 sports bikes of the 1990s. 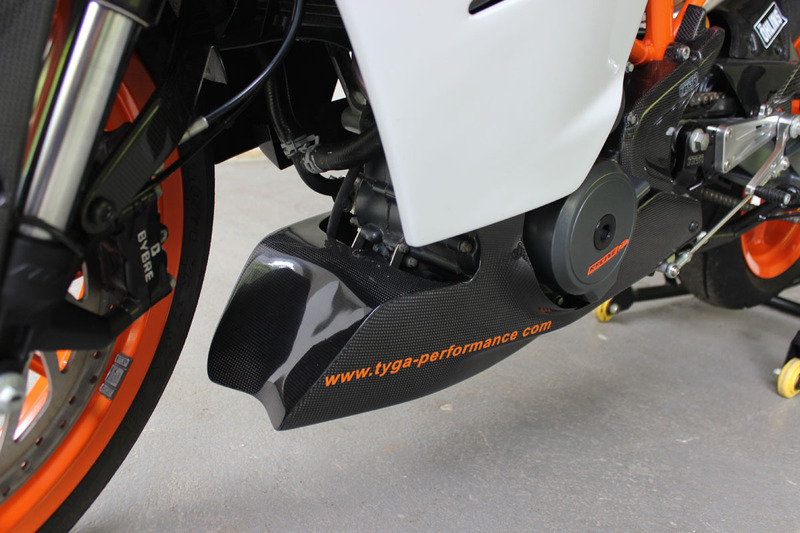 And so it was without hesitation that TYGA Performance bought a brand new example in April this year to use for development and showcasing our products. 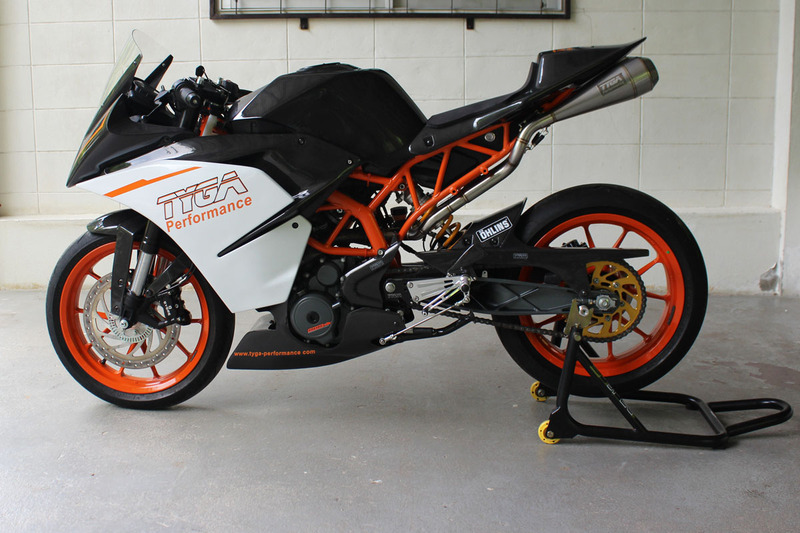 You can see from the photos, the bike is quite a bit different from the 100% stock bike we started with. 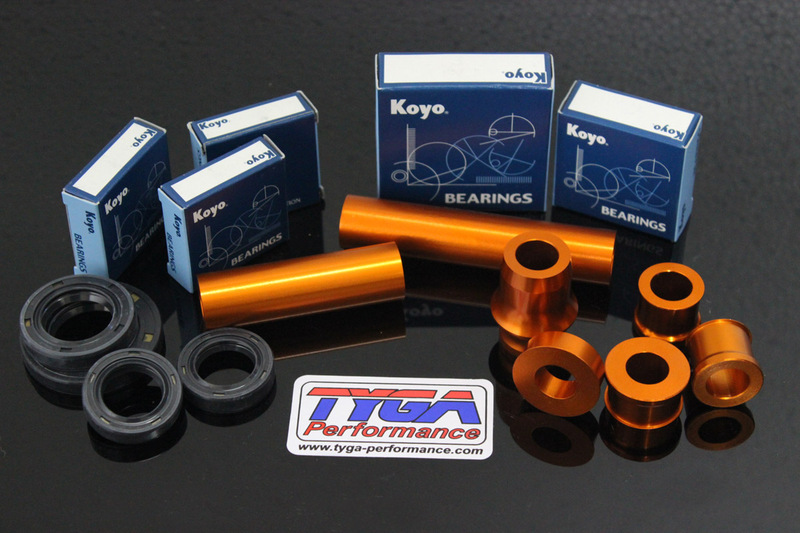 Much has changed, more development to be done. 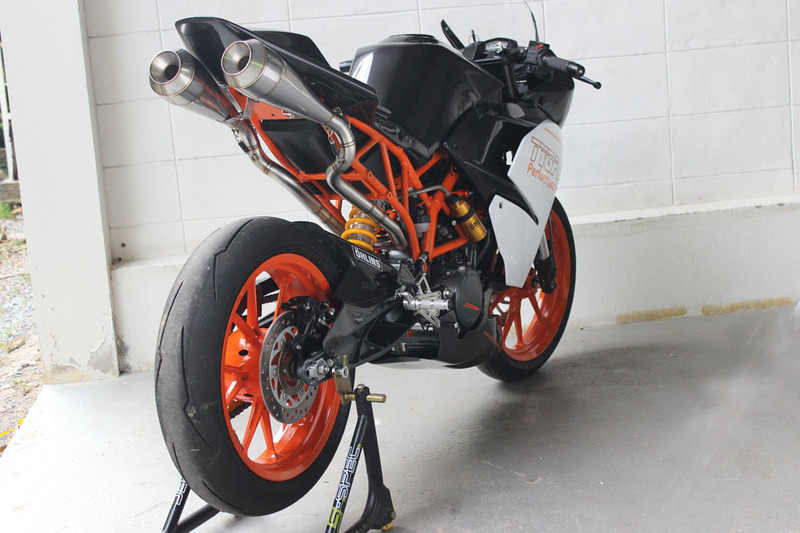 For much of the last few months, this particular bike has had something or other pulled off it and rarely seen with its clothes on. 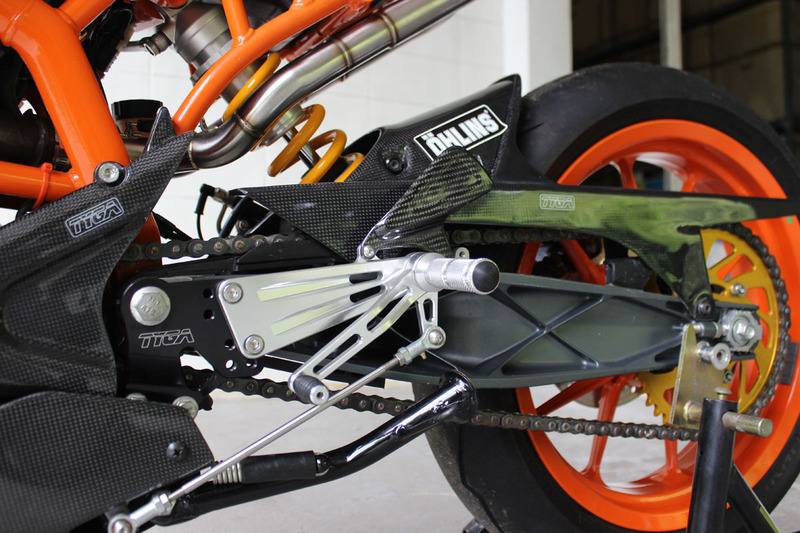 Recently, it was to be displayed in a motorcycle show and in a rare moment of cleanliness and togetherness, we took the opportunity to take these photos, and showcase what's available so far. 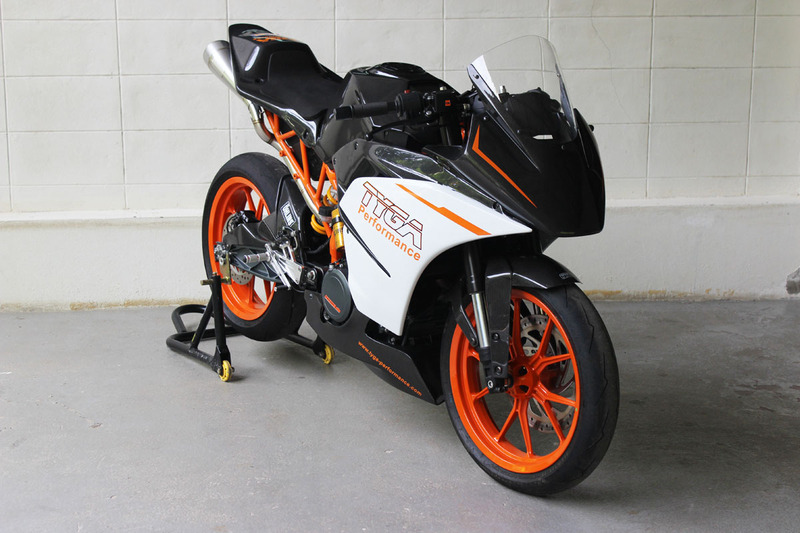 The most obvious difference from the stock bike and the TYGA one is the bodywork. 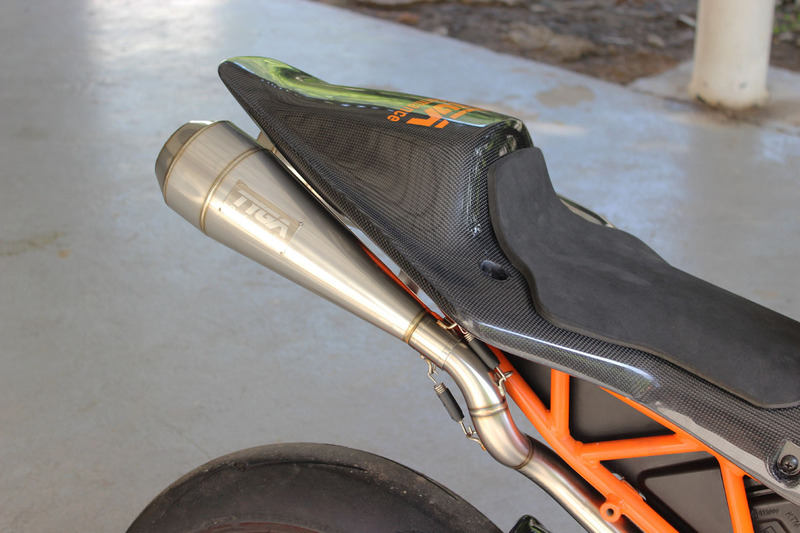 The belly pan and the seat cowling are closely based on the KTM Cup race bodywork but with a TYGA tweak here and there to make it neater and easier to install. 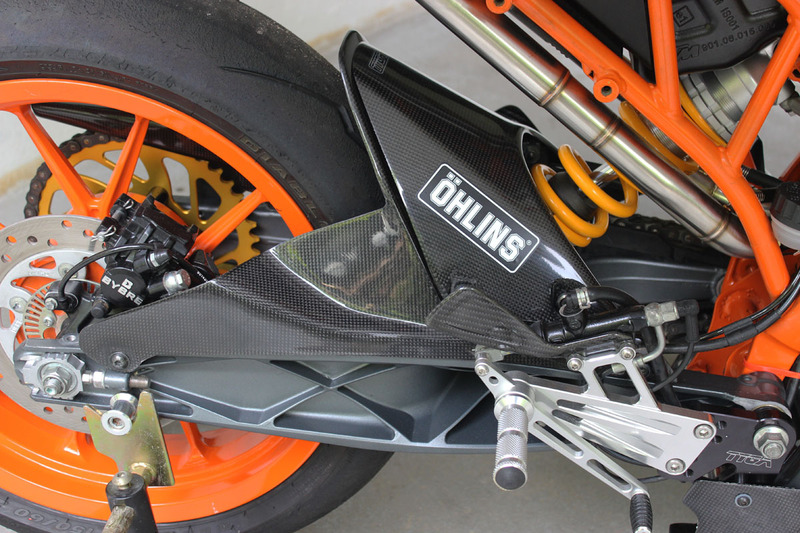 The version shown here is in carbon fiber, though GRP is also available for a more modest price. 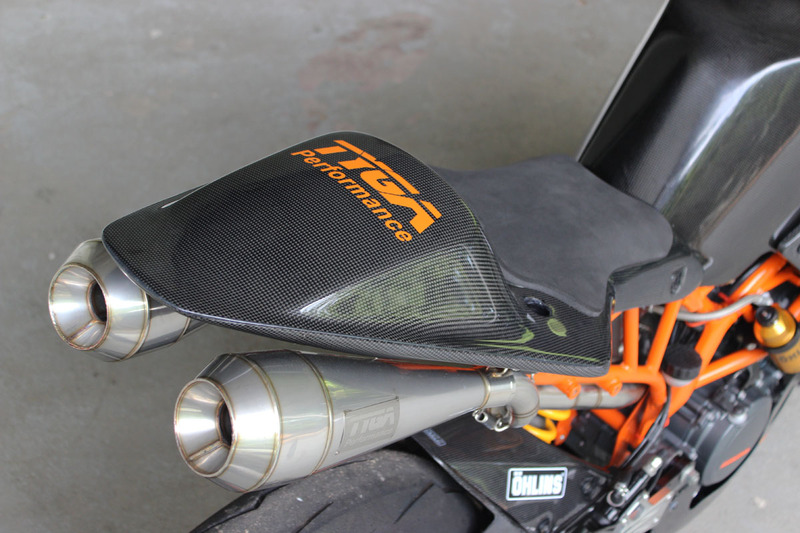 The upper fairing we moved away from the somewhat strange and fragile transparent cup version, and designed our own to give the bike a more aggressive and practical front. 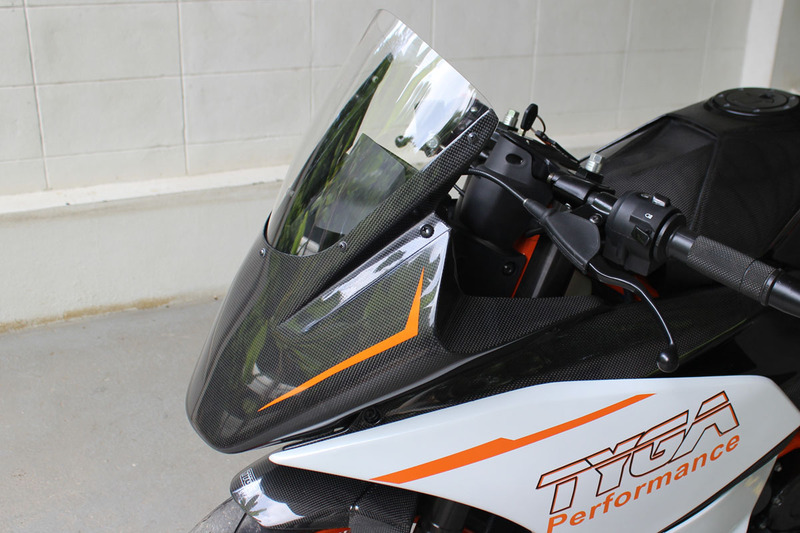 We have plans at some stage to make a version with lights and mirrors but for now this is strictly a race use only component. 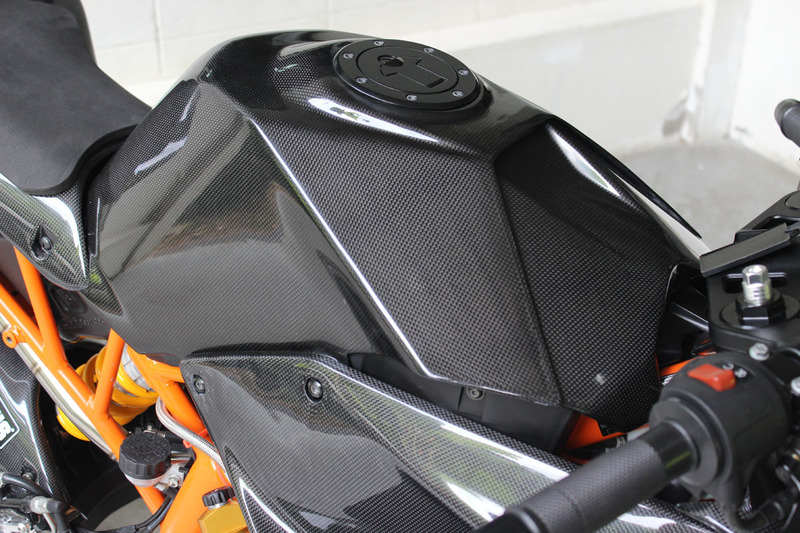 As well as the race panels in carbon, we also reproduced some stock shaped parts in carbon too. 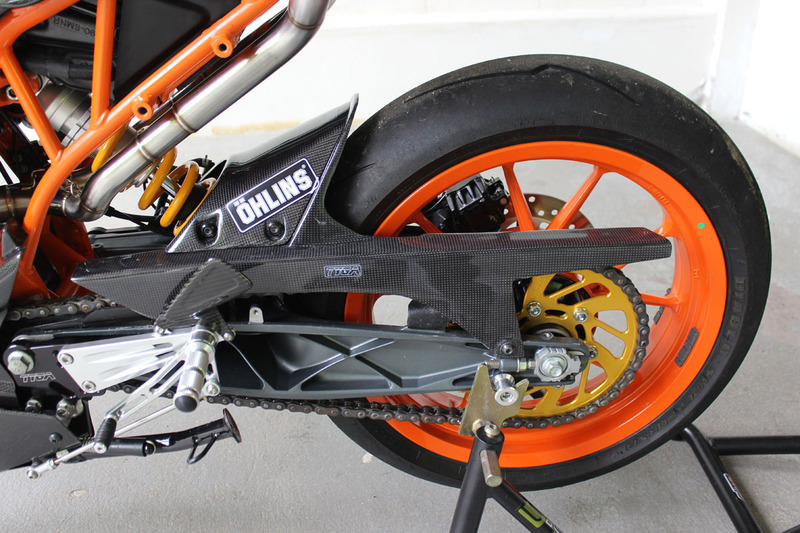 The inner sides, the hugger, the tank cover and the battery box are all carbon, as is the front fender though, just to be different the bike here is shown with the Duke version. 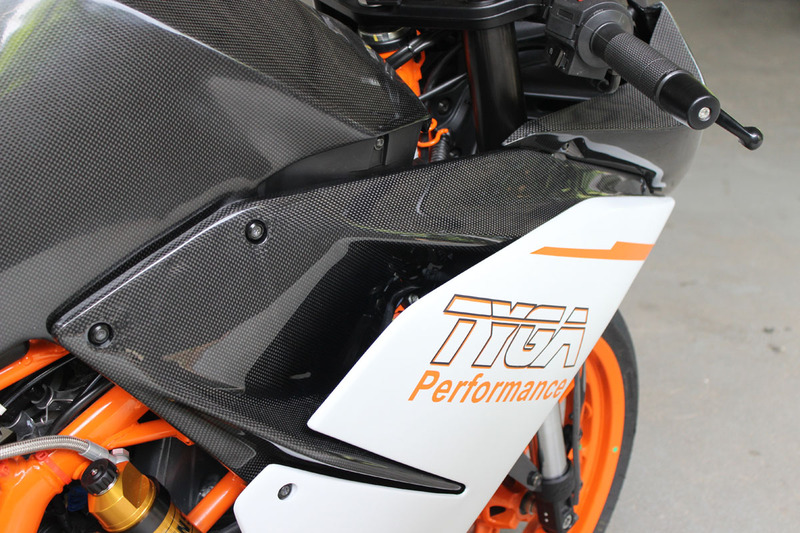 Tyga offers the stock RC390 front fender in carbon too. 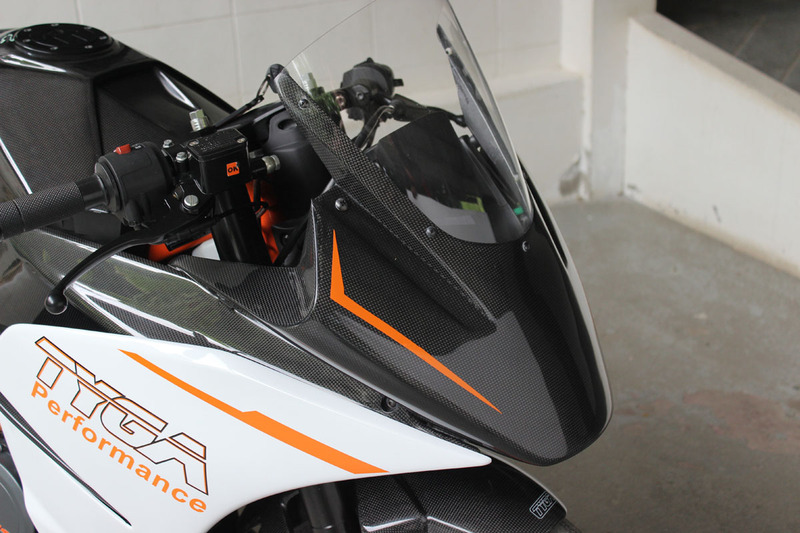 The two outer sides are in GRP and painted to add contrast to the carbon on the rest of the bodywork. 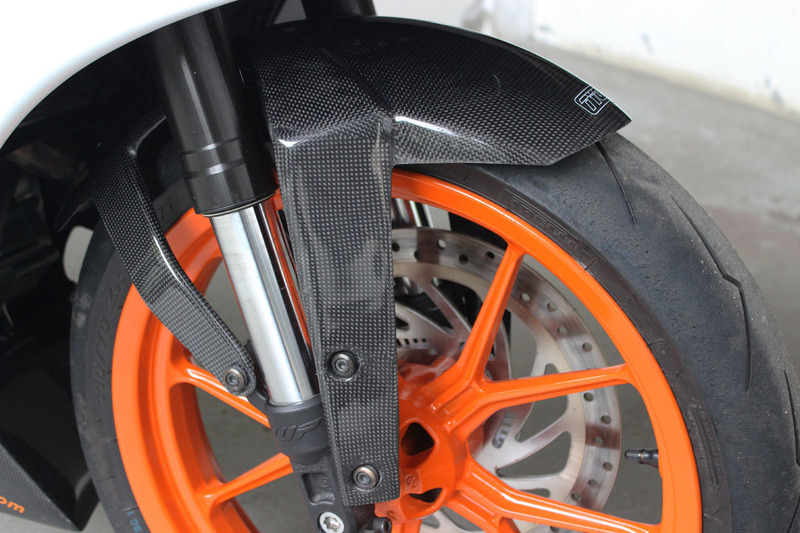 While continuing on the carbon theme, we made the front sprocket cover in carbon too. 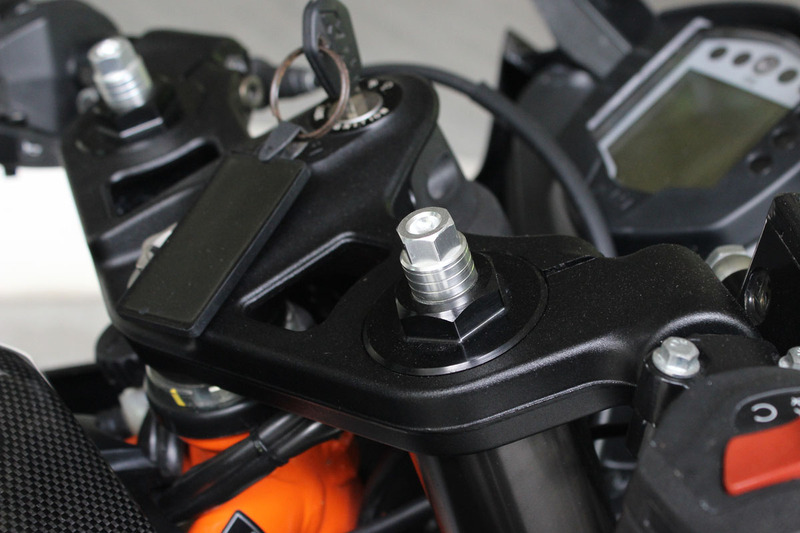 Note that the sides are not compatible with the stock plastic parts and need to be installed as a set of outer and inner sides. 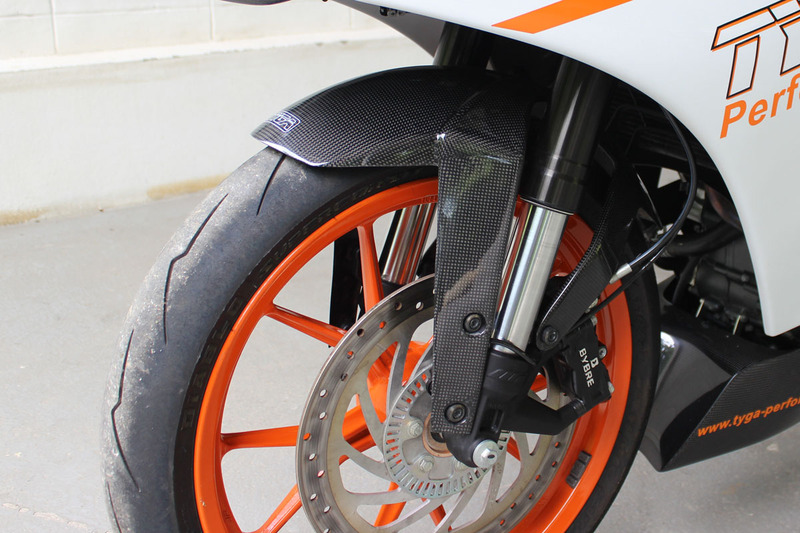 All the other panels can be added piecemeal, and mixed with stock plastic including the belly pan which can be installed with the KTM street exhaust. 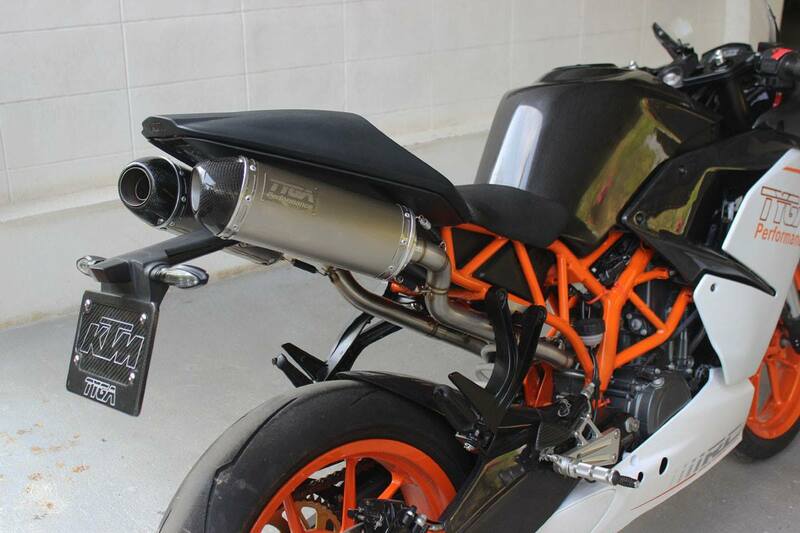 The other most obvious change with this bike, is the serpentine twin Moto Maggot Tyga exhaust system. 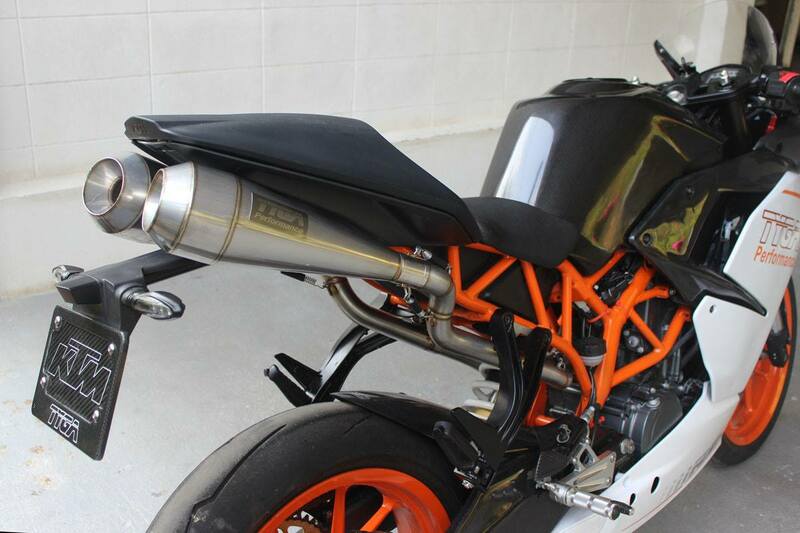 This is purely prototype at this stage but it does have a certain presence and definitely has plenty of noise. 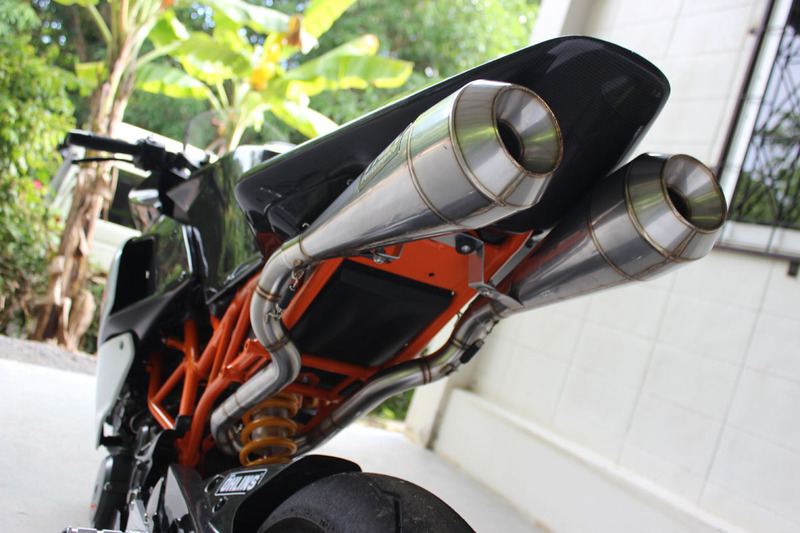 The system is made in hand-welded spring mounted stainless sections and hugs the underside of the seat cowling, before curling up the sides of the subframe to dramatic effect. We didn't weigh it, but the stock system is infinitely heavier and a lot more agricultural looking in comparison. 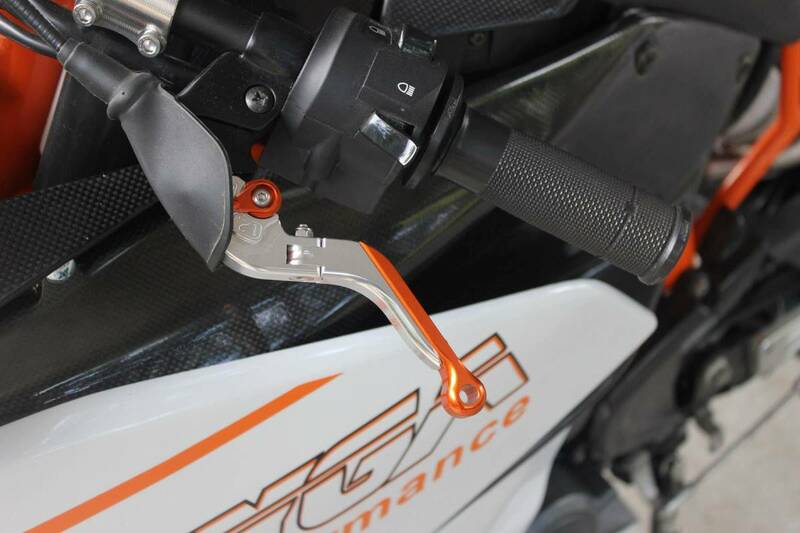 The Moto Maggots are hand-rolled and hand-welded to give a raw race finish. No polishing allowed! 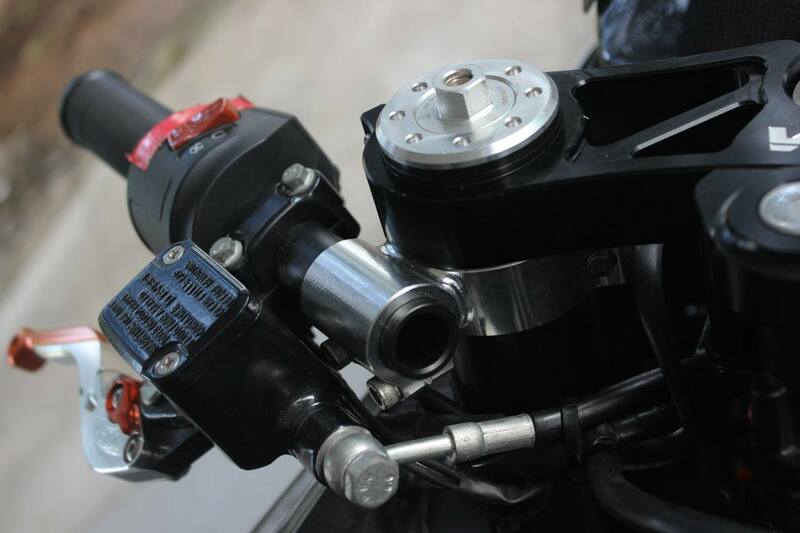 As well as all the cosmetic and exhaust enhancements, the suspension has been sorted too. 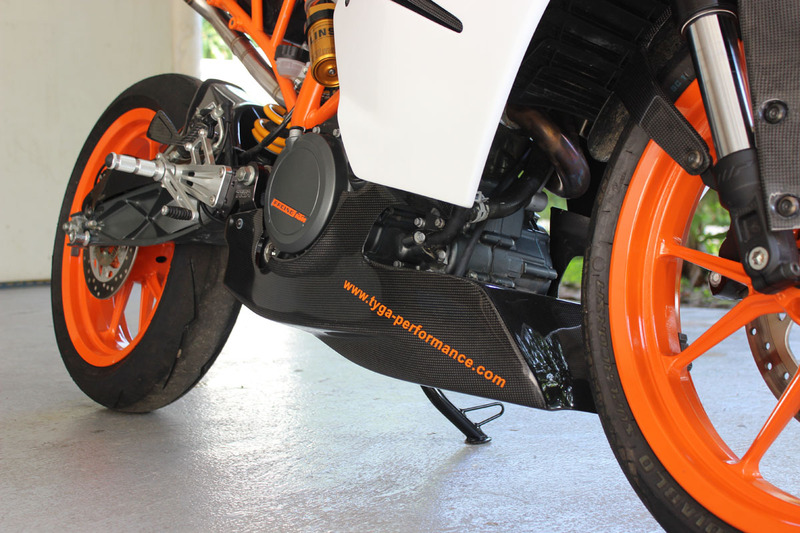 At the front end, we have a pair of TYGA Performance ride height adjusters installed to give the bike better stance under heavy braking. The stock set up is prone to dive somewhat. 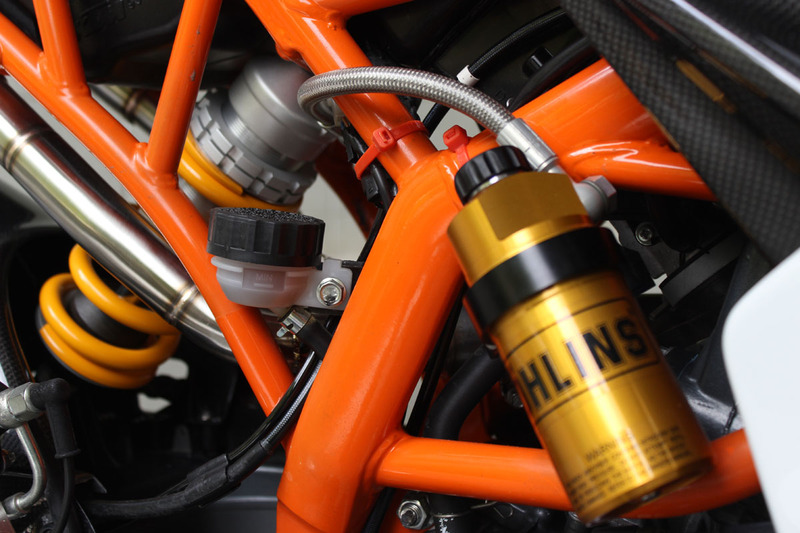 At the rear end, there is a full-on prototype Ohlins race shock. 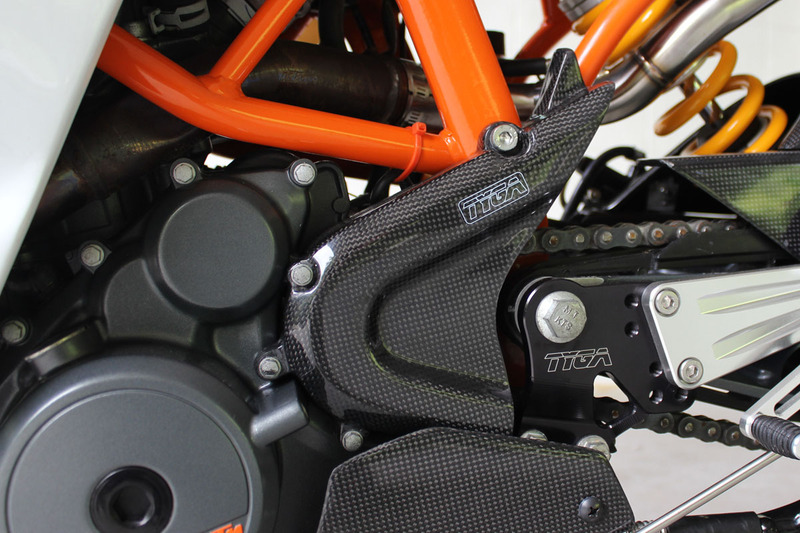 Tyga and Ohlins have been working closely on the RC390 and one benefit of the relationship is we get to test their latest tackle on our project bikes. 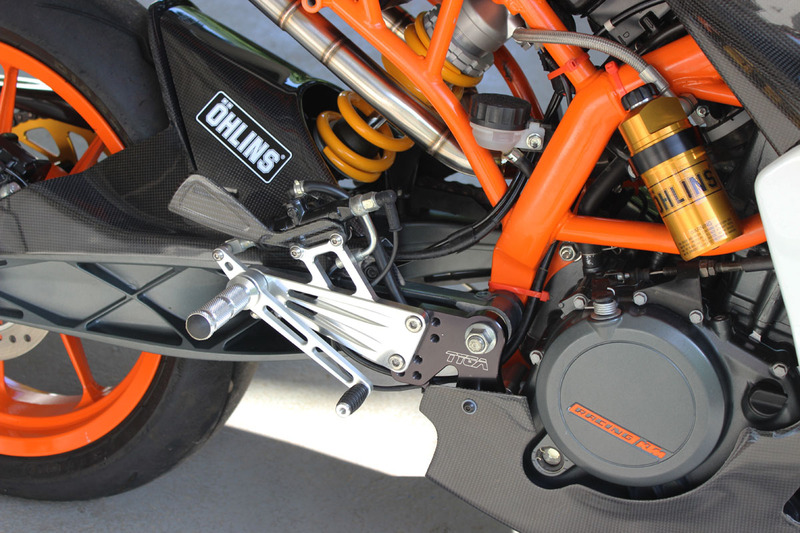 Needless to say the shock gives excellent ride and feedback especially on the track which is where this bike is designed to be. 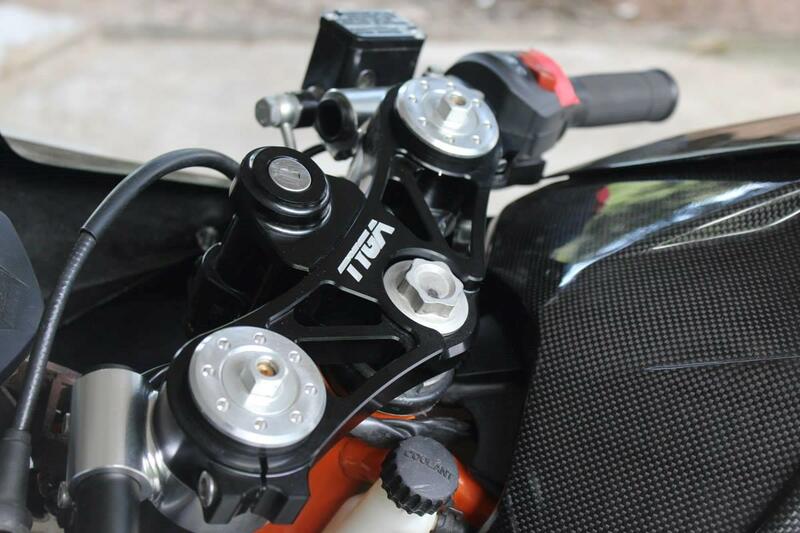 A TYGA project bike wouldn't be complete these days without fitting one of our TYGA Performance lightweight rear sprockets. 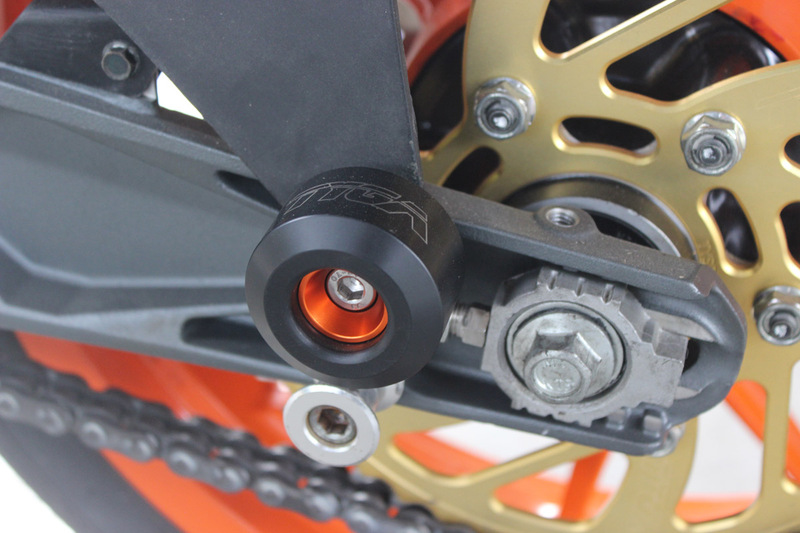 We were spoiled for choice, with options ranging from 39 teeth through to 48 but settled with stock for now until the bike is properly dialed in. 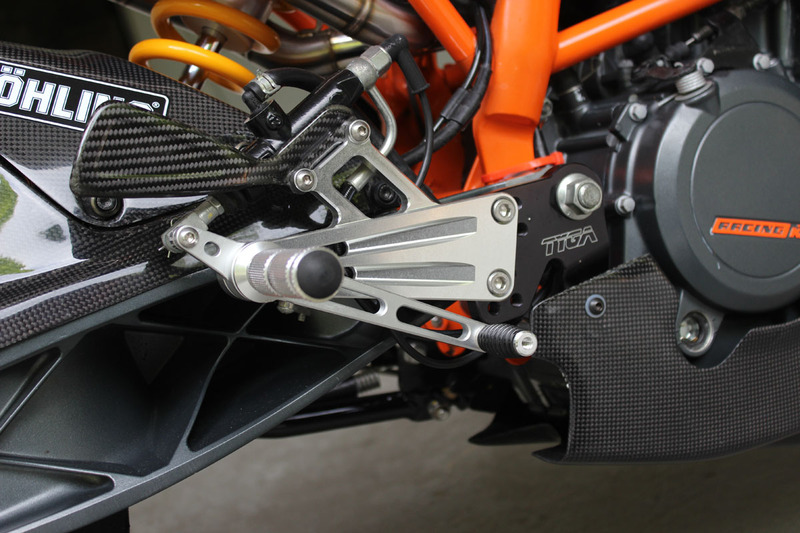 Finally, and last but not least (for the time being anyway), we have installed a set of our multi adjustable TYGA Performance rear sets. 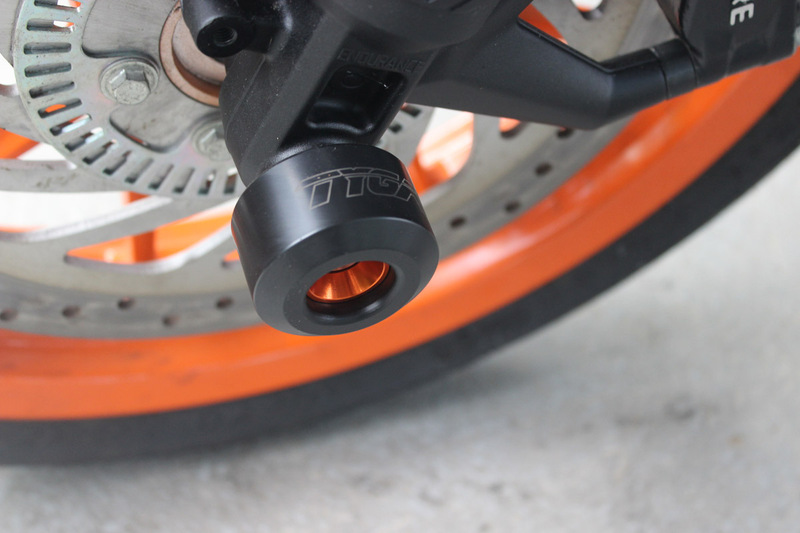 Although suitable for the track with race shift possible, we have configured these for the street in mind too. 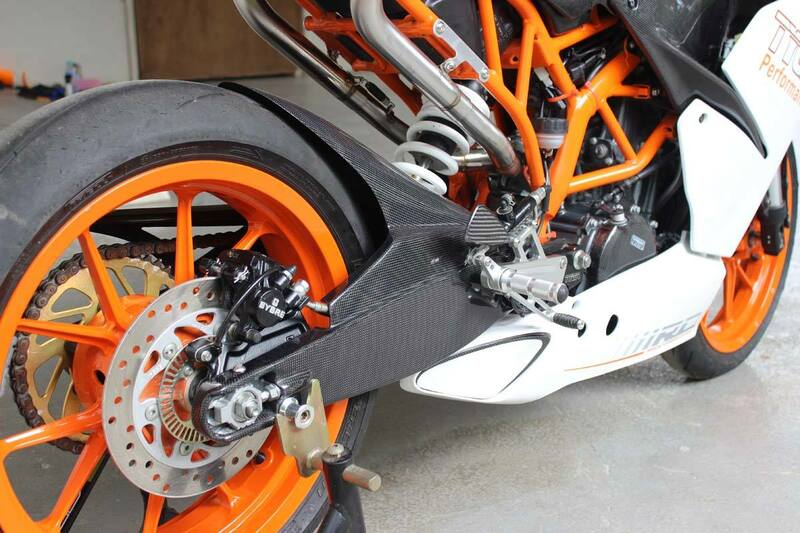 They not only retain a street shift but we chose the version which allows for side stand installation too. 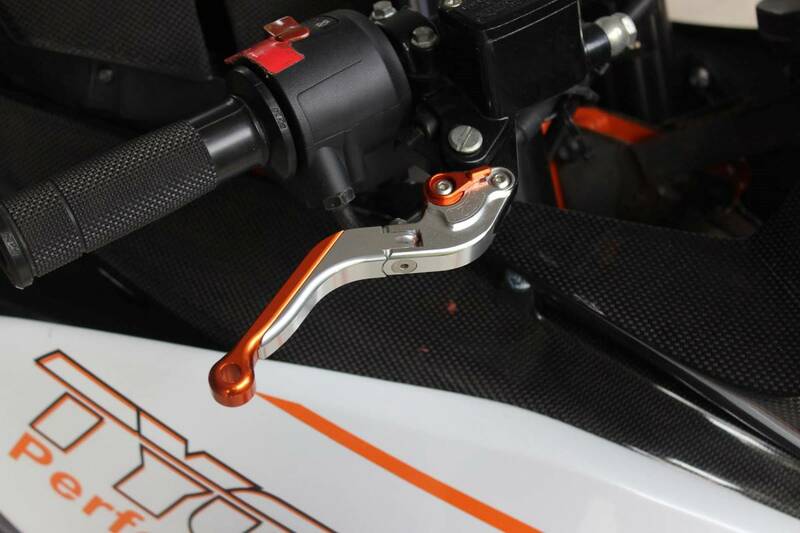 A race only type which does away with the now redundant side stand mount is available for those who are hard track focused. 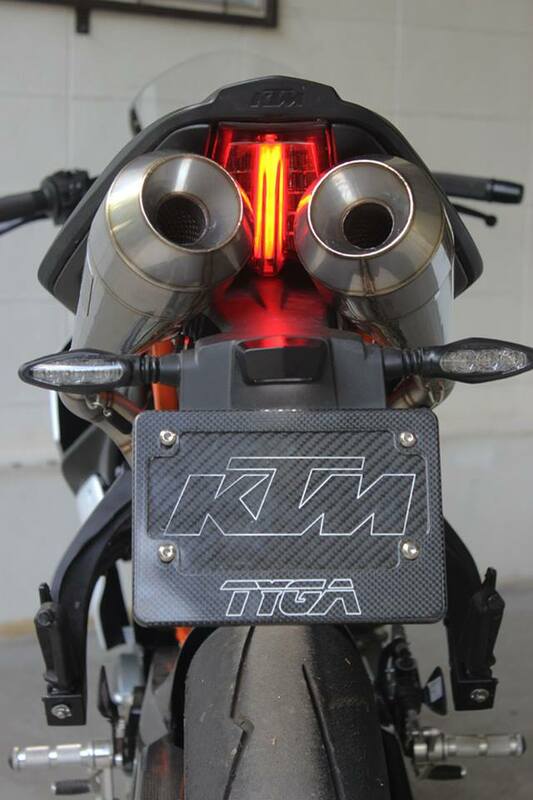 Well, that's it for the time being but please take a look here from time to time because already we have one or two more products to test out and install on this fun little bike. 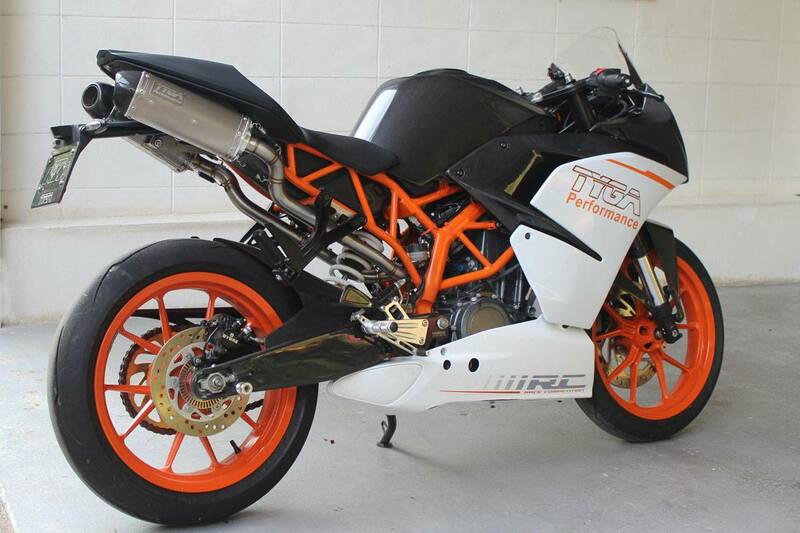 As KTM says: ' Ready to Race' and we couldn't agree more. 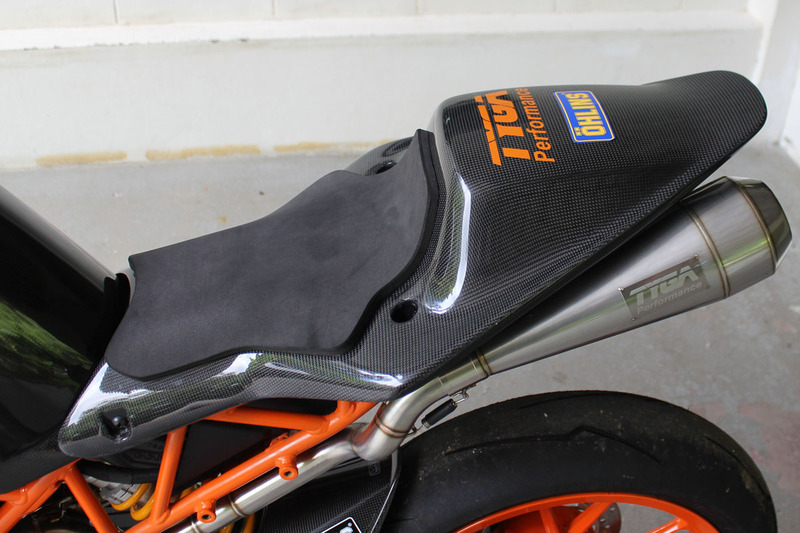 Seat Pad, KTM RC Cup, Assy.